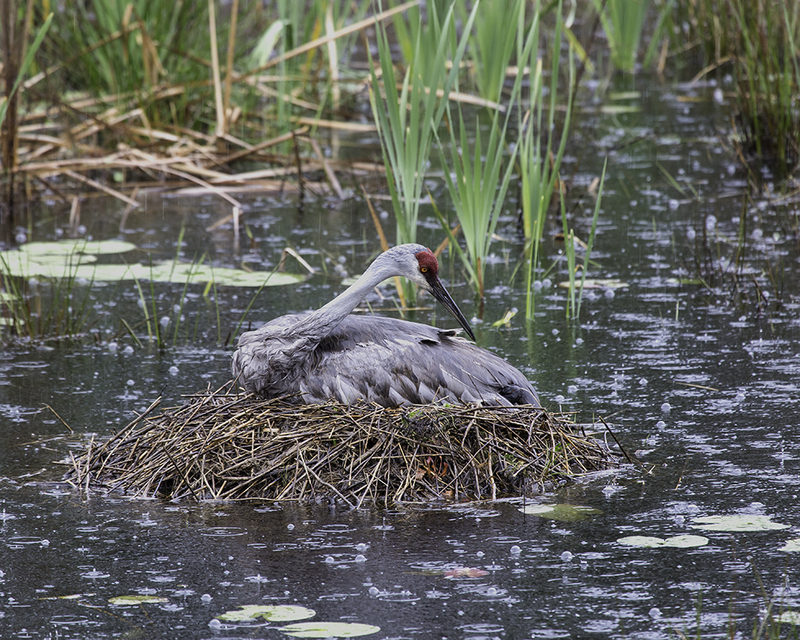 Sandhill Crane sitting on newly hatched chick in the rain on St Patricks Day. This entry was posted in Photo, Sandhill Cranes and tagged Nest, Sandhill Crane by Bob Currul. Bookmark the permalink.